Hey ice cream lovers! This is a very special treat for you! Banana ice cream is seriously one of the greatest inventions ever. Ripe, frozen bananas, have the consistency of soft serve ice cream once blended. In my opinion, this is the best way to have your Cake (I mean ice cream) and eat it too! Banana ice cream, or Ice Dreams as I like to call them, are the best alternative to dairy versions because they are fresh, nutritious, low in fat, and full of fiber! 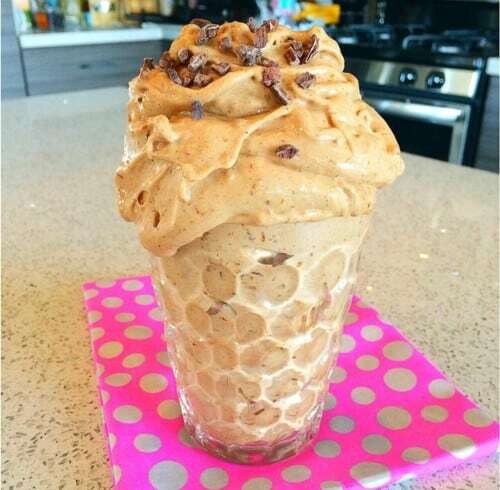 Eat all the nanner ice dreams you want and you’ll still be fitting into your skinny jeans! Make sure your bananas are ripe. Peel the bananas and cut in half. Place bananas into a freezer bag or airtight freeze container. Freeze 24 hours before blending. Add all ingredients to a Vitamix or a high powered blender. Serve immediately!